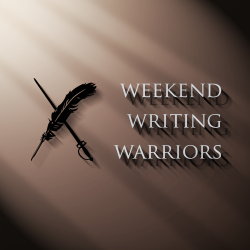 Welcome to my twenty-fourth Weekend Writing Warriors ~ Snippet Sunday post! If you missed any of the previous posts or need a refresher on the entire story, you can catch up on my Meanmna ~ #8Sunday page. “He said that when I’m ready he can help me understand what’s been going on and who I really am,” I looked down and started picking at a frayed edge of my sweater. “It’s not time yet,” mom mumbled under her breath. “What,” I asked and looked up. In a bit of a daze, I got up, “Okay,” I tried to smile, gave up, and went outside to get my purse. I walked around to the back passenger side, opened the door, and leaned into the backseat; it smelled like rain in my car, and I wondered if that was what Elwin smelled like as I hurried back inside with my purse in one hand and my crystal in the other. Sarette, I need to think; let’s talk about this tomorrow after I get back from work. Love you; try not to make any decisions tonight. I picked up the note and sitting under it was a crystal that looked just like mine. So… did you see that coming? 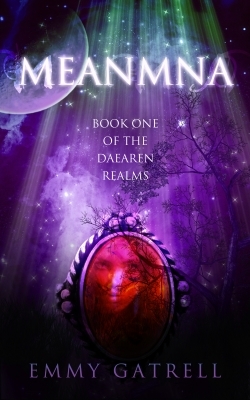 Check back in next week for Weekend Writing Warriors ~ Snippet 25 of Meanmna: Book One of the Daearen Realms!